Once the weather warms up and thoughts of the painful winter have finally faded, as Canadians, the deck becomes our summertime domain. That’s why it gets used and abused as often as it does. But, your deck can last quite a long time if you show it a little TLC now and again. It doesn’t take much. And, considering just how much outdoor living we love to cram into the few glorious months of summer, it’s well worth it. To help keep your outdoor space in good shape for years to come, here are five maintenance tips to prolong your deck’s lifespan. After the winter months, it’s important to give your deck a good, thorough cleaning to get rid of the grime, and most importantly, any mould, mildew or algae. No matter what type of wood you have, the porous surface means that it will absorb water and become susceptible to mould growth over time, which can weaken the structure – and this goes for pressure treated woods, too! So make sure to wash the deck after each winter to remove dirt and grime and allow the wood’s natural tannins and oils to do their job and protect it. 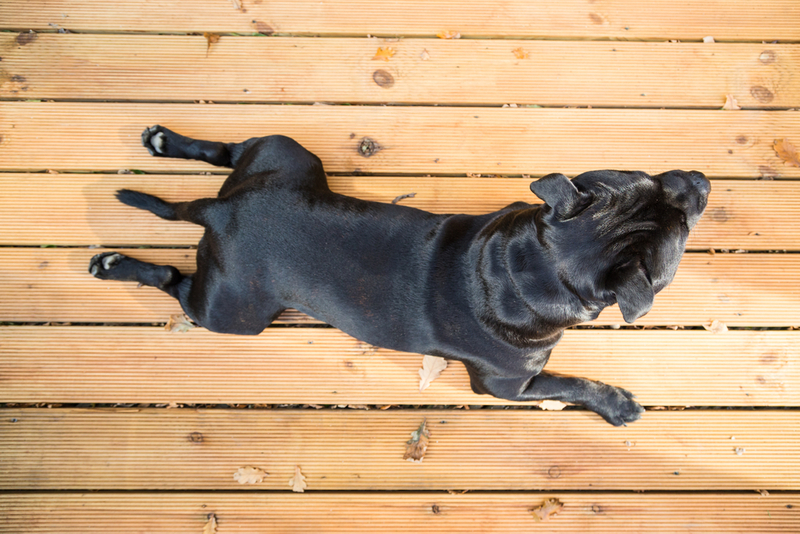 If it’s a new deck, wait until after the first year to begin your annual cleaning. Today, you can find products that are specifically designed for cleaning your deck. We recommend going to your local hardware store and asking. Products like 30 Second Outdoor Cleaner work effectively at cleaning away mould, mildew and algae by reaching deep within the wood crevices. This, combined with a light spray, is all that you need to get it clean. Pressure washers can be great for washing away stubborn dirt along the exterior of the home. But they can also be damaging to some types of wood, which is why we suggest staying away from them. By using a specialized cleaner (as mentioned above) along with a soft spray, that’s all the pressure your deck needs to get nice and clean. If you do use a pressure washer, make sure to hold it at a distance to avoid damaging the wood. Sealing the deck is another vital maintenance tip to prolong your deck’s lifespan. Before sealing it, give it at least two days to thoroughly dry out after cleaning it. Apply according to instructions and provide plenty of time for it to dry out again before using the deck. If your railings are loose or some boards are shifting on the deck, don’t let these problems linger and cause potential safety hazards during your summer BBQs. Depending on the level of work needed, it may be worth it to have professional assistance for repairing any damage. Maintenance is crucial for prolonging the longevity of your deck, and by performing regular, proper cleaning each year, you can keep it in good shape and get the most out it. At Fence Masters, whether it’s a repair, replacement or a complete design overhaul, we can help. Contact us today for advice or more information about our services.